Boomerang is an app/tool for your Gmail account. With Boomerang, you can schedule your emails to be sent at specific times or have emails resent to yourself so you don’t forget anything. It’s easy and each month you are allowed to Boomerang 12 emails for free, after that you can purchase a subscription if you really have Boomerang fever. If you haven’t used Google Calendar before, start using it now. It’s much better than any Outlook or iCal because you can have multiple calendars and color-code your events. The nice thing about Google Calendar is that you can set up reminders. Don’t want to forget your Grandma’s birthday? Set up a reminder and have either an email sent to you, or a reminder pop up on your phone. If you’re an Android user, the calendar on your phone will automatically sync itself with your Google Calendar, making it so much easier to schedule everything. Forget about Skype, Google Hangouts is free and much easier to use. 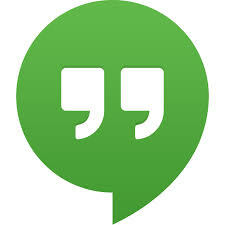 With Google Hangouts you can “hangout” online with multiple people, free of charge. And if you’re a Vlogger and like to interview guests online, it’s easy to with Google Hangouts because you can stream your video conversation live and have it stream instantly on YouTube. Google Hangouts also lets you share your screen when working on projects. Don’t bother with Skype; Google Hangouts is the way to go. If you don’t like your bank’s phone app, try Google Wallet. You put in your credit card information and easily keep track of your bank account. 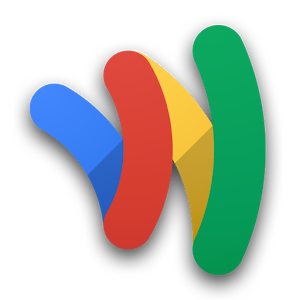 Google Wallet offers its users the ability to send money to friends with just an email address and easily buy things on mobile websites (if they have the “Buy with Google” button). Google Wallet also stores all of your loyalty cards and memberships so you don’t have to carry multiple cards with you. It’s basically like having your wallet in your phone. Furthermore, Google monitors the app 24/7 so it’s safe to use. If you don’t want to physically carry your entire wallet in one place, Google Wallet is just what you need. All of these tools are just a glimpse of what Google offers. If you’re not on the Google bandwagon, jump on and you won’t ever look back at Yahoo ever again.